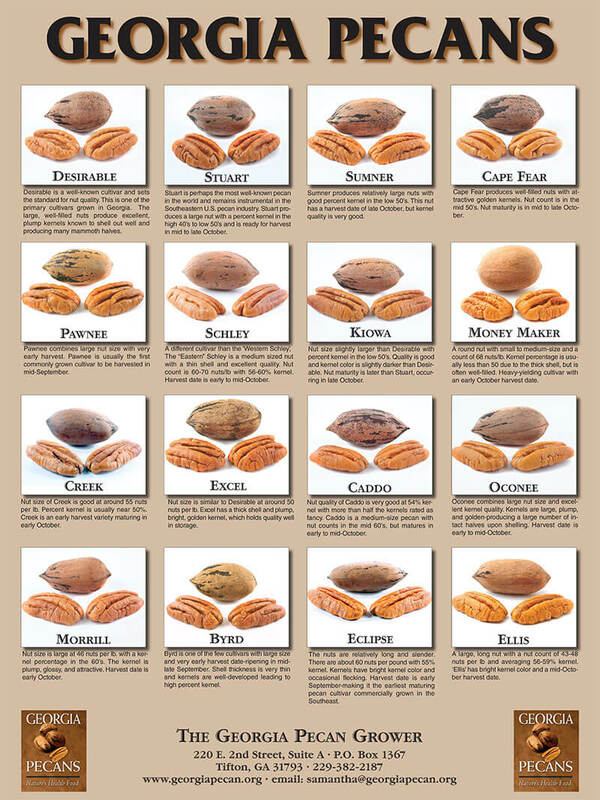 Pecans - the only Native American tree nut - have been a tasty favorite for centuries. Pecans have a rich history that goes back hundreds of years, but recent history is redefining how people think about those delicious tree nuts. Research conducted over the past decade has confirmed that pecans can be a healthy addition to your diet. Below are summaries of landmark research studies confirming the health benefits associated with eating a diet rich in pecans. New research, published in the August 2006 issue of Nutrition Research, shows that adding just a handful of pecans to your diet each day may help inhibit unwanted oxidation of blood lipids, thus helping prevent coronary heart disease. The researchers suggest that this positive effect was in part due to the pecans’ significant content of vitamin E – a natural antioxidant. Pecans contain different forms of vitamin E, which protects blood lipids from oxidation. Oxidation of lipids in the body - a process akin to rusting – is detrimental to health. When the "bad" (LDL) cholesterol becomes oxidized, it is more likely to build up and result in clogged arteries. In the laboratory analysis of blood samples from the research subjects, Dr. Haddad's team found that the diets enriched with pecans significantly reduced lipid oxidation (by 7.4 percent) versus the Step I diet. Oxidation levels were evaluated using the TBARS test, which measures oxidation products. The researchers also found that blood levels of tocopherols were higher after participants were on the pecan diet. Cholesterol-adjusted plasma gamma-tocopherol in the study participants' blood samples increased by 10.1 percent (P < .001) after eating the healthy pecan diet. The researchers concluded that these data provide some evidence for potential protective effects of pecan consumption in healthy individuals. In addition, landmark research published in the Journal of Agriculture and Food Chemistry (June 2004) found that pecans rank highest among all nuts and are among the top category of foods to contain the highest antioxidant capacity, meaning pecans may decrease the risk of cancer, coronary heart disease, and neurological diseases such as Alzheimer’s. Using a method that has proven to be a good indicator of the total antioxidant capacity (TAC) of foods called ORAC (Oxygen Radical Absorbance Capacity), researchers measured the antioxidant capacity of nuts among 100 commonly consumed healthy foods and snacks, including different types of nuts, and determined pecans have more antioxidant capacity than walnuts, hazelnuts, pistachios, almonds, peanuts and cashews. Numerous other studies have also shown that phytochemicals, like those found in pecans, act like natural antioxidants and may have a protective effect against certain diseases, such as various cancers and coronary heart disease. "The unique mix of unsaturated fats, plant sterols, fiber and flavonoids all add up to make pecans a superfood for your heart." Let Georgia provide the very best pecans and pecan products for you! Georgia growers can ship products to meet any need in the food service or retail industry. Suppliers can also cater to specialty needs such as kosher and organic. We want to help bring the best pecans to your consumers! Stay up-to-date with the latest news and events. Follow Us on Facebook, Instagram, Twitter, and YouTube. Click the links below! We would love to hear from you. Please click the link below to email us today!